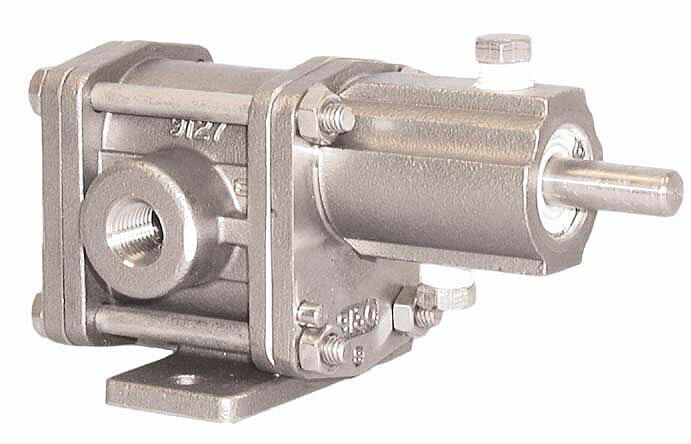 316 Stainless Steel or Alloy C Pedestal Pumps, single pump style or in Tandem. Also available in Non-Metallic Ryton versions. Chemsteel Non-Metallic Series. Bearings: Carbon Graphite, Teflon or Rulon. Slotted for lubrication. 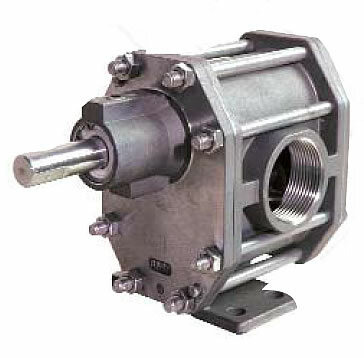 Motor / Drive: Close Coupled with available NEMA or IEC motor brackets, Direct Drive with flexible coupling or Pulley Drive can be used. 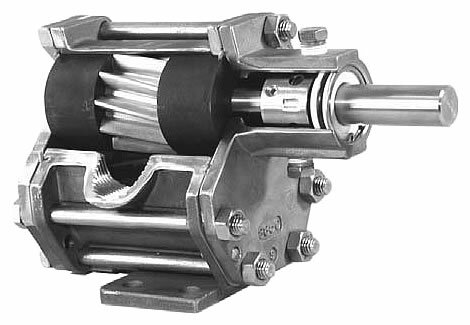 We have many motor options and can assemble for you. A wide variety of sizes and options available in a durable and proven pump design. See data sheets for specific features and options for each pump series. Relief valve required for safety. Service life will be increased substantially if the liquid pumped is clean and has some degree of lubricity. Any liquid compatible with the pump components can be pumped providing proper seal has been specified. Close tolerances and the positive pumping action make the rotary gear pump capable of lifting water on the suction side as high as 20 feet.